The Aurat Foundation has a democratic, transparent and participatory governance structure, which best assures an independent organisation that is efficiently and effectively managed on scientific lines. The Memorandum of Association recommends a three-tier governance structure, comprising a 15 member General Body, a Board of Governors comprising of 9 members and an Executive Council headed by the Executive Director. 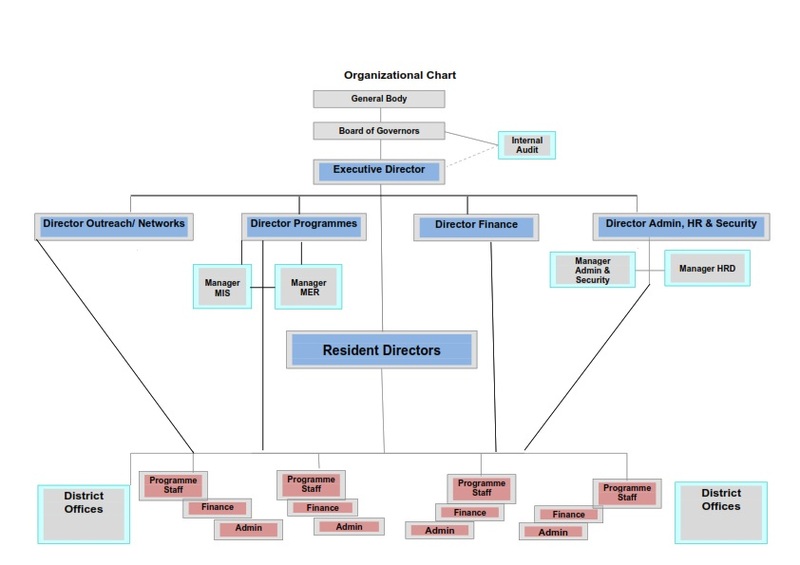 Significant features of the governance structure are its system of checks and balances and the leading role given to Partners’ Networks and Staff of the Foundation.